Fargo Courier provides delivery support to other independent e-commerce sites. Fargo Courier will provide a free Application Programming Interface (API) software that will integrate and enhance a seamless pick and delivery process from the time the buyer makes payment for an order online. The system will send out an alert e-mail communicatiuon to inform our Customer service and operations department to prepare and make collection. 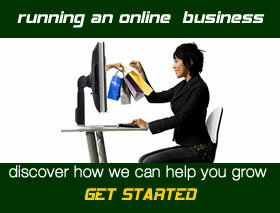 This provides an efficient and effective order fulfilment and delivery process for the online buyers.